As industries and technologies change, we must continuously adjust our methods for interacting with and engaging employees. But engagement is more than just a yearly engagement survey and an occasional offsite or in-office activity that’s assumed to increase engagement. Engagement means listening to the needs of your employees and finding unique ways to build rapport and relationships with them. With regards to profitability and cost, engagement has both positive and negative lenses. Engaged employees are more productive than disengaged employees and bring in more capital gain. A vast majority of workers are not engaged, even though their executives seem to think they are. These disengaged employees increase costs and bring competitive disadvantages to their firms. In essence, businesses won’t survive in their market if they fail to recognize the need for engagement. Employees want to be empowered in their line of work and have their voice heard. These are both key elements to boosting employee engagement. Encouraging employees to voice ideas and concerns helps them feel valued to the company and in the work they do. Who doesn’t enjoy feeling important and wanted at their job? As companies work to increase engagement, it is vital that they have the best technologies available to help them achieve their engagement goals. Employees want it and the industry practically demands technological innovation for businesses to survive and retain talent. Hyphen brings all of these together to offer a unique engagement model wherein businesses can create a culture of feedback and networking. 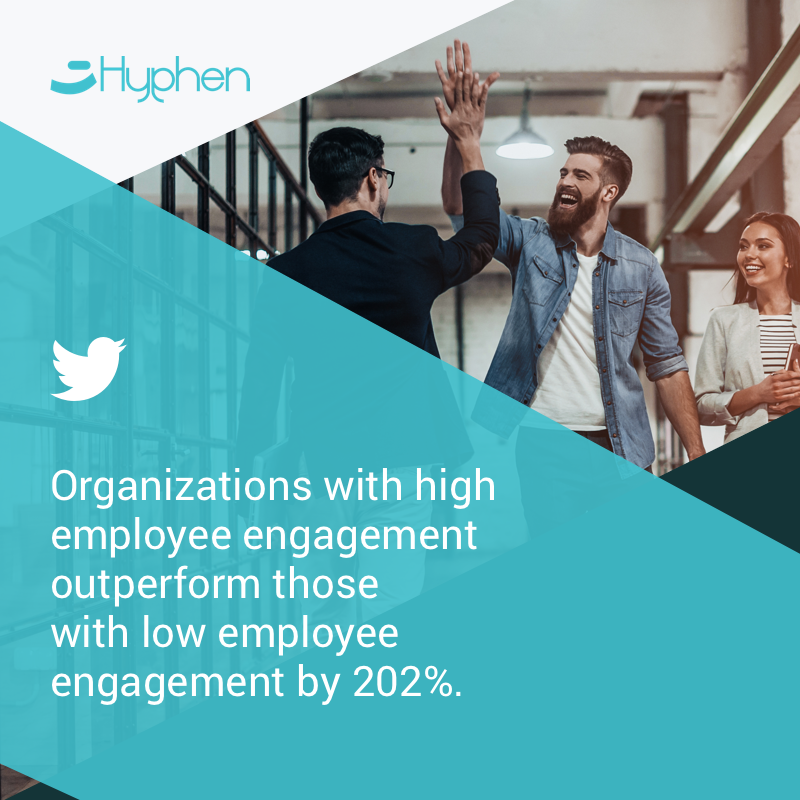 With its top-down approach to feedback, Hyphen’s surveys and polls match with bottom-up crowdsourced employee conversations to gauge the pulse of your employee engagement in real-time. This gives you access to a gold-mine of people data to proactively take action on issues which need immediate attention. After all, true engagement comes with listening from the intent of doing. Request your demo and start listening to your employees anytime, anywhere.